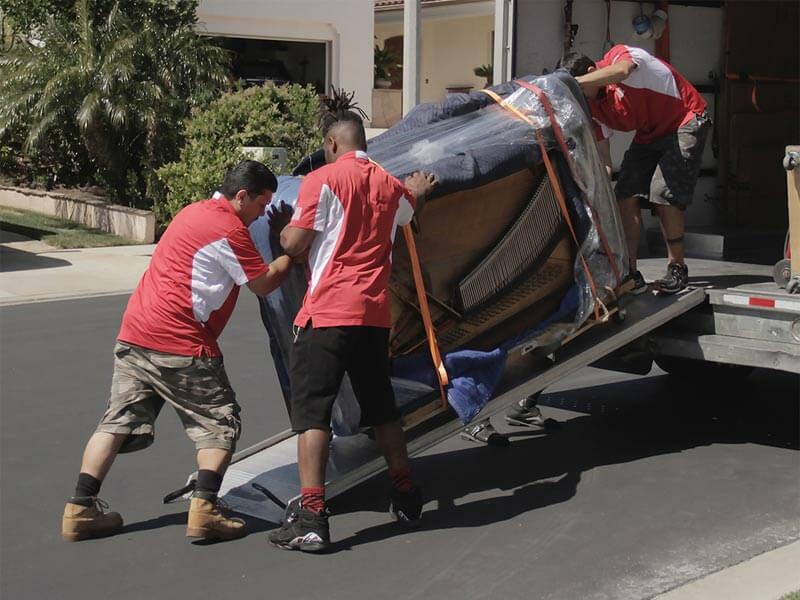 In Orange County and around Southern California, there are a lot of companies that offer moving services. That said, the consumer should not think that all of these companies are equal. While the majority of movers operate in an ethical and above the board manner, there are some companies that you will definitely want to stay away from. When you hire a moving company, you are probably going to want to do some vetting to make sure that you are going with a company that you can trust. In this process, there are some questions that you should ask any moving company before you hire them. Are the movers your employees or are they independent contractors or subcontractors? It is always better to go with a company that has their own team of movers. When a moving service contracts the work out to a third party, it puts some distance between them and the responsibility that comes with handling the possessions of a client. In this, they might be less concerned about the quality of training and the quality of the individuals that perform the actual move. When a company hires their own staff, they take responsibility for the training and the actions of the movers. Additionally, the relationship that forms when a person is continually employed by the same company can make a difference in regard to their loyalty and the seriousness with which they take their job. Hiring a company that uses subcontractors is not necessarily a bad thing, but you will want to ask for some information about the company that will be doing the work. Ask for the name of the company and see if you can get some contact details. Most moving companies will provide you will a general quote over the phone or through a website. These can be good for when you are trying to narrow down the list of movers that you may want to use, but they are not binding. However, if you want a quote that is set, you will need to arrange for a representative to come to your house and assess the job. Depending on the scope and the scale of the move, this may not be necessary, but it is something to consider. Are there any extra charges that go beyond the quote? Make sure that you know everything that is covered by the quote that you get. Ask whether it covers things like fuel, parking and tolls for any long-distance move. You will also want to make sure that the quote includes any fees for items that may require special handling. If you have an awkward item like a piano, then you want to make sure that the company knows about this when they make the quote. If not, there may be an extra fee for items that are particularly awkward to move or items that have special requirements for their transportation. How will you handle items that require special care? If you have expensive items that may require special care when they are moved, this is something that you will want to talk about with the representative from the moving company. First, they will need to know about this for the quote, but you may also want to make sure that they are aware of your concerns. What type of insurance is available for lost or damaged items? While the goal is to have every item arrive undamaged, even the best moving companies could lose or damage an item. For this reason, you may want to consider the insurance options that you have. Any moving company should have released value protection for all of the items that they move, but this is generally not going to cover the full value of a lost or damaged item. Some movers may offer full value protection, but this is something that you will have to pay extra for. In addition to that, it usually comes with range of different conditions. If you have items that are of a particularly high value, then you might want to consider the possibility of getting additional insurance. What is the process when an item is lost or damaged? Regardless of the type of insurance that you have, you will want to know the process for claiming items as lost or damaged. You will also want to know whether the coverage is the same for items that you pack yourself or if it is more favorable toward items that are packed by employees of the moving company. At Attention to Detail Moving, we welcome all of your questions. We understand that a move is a big deal and we know how important it is for the customer to know that they are dealing with a company that they can rely on. Contact our support team now. We are your Orange County moving company and we look forward to hearing from you.